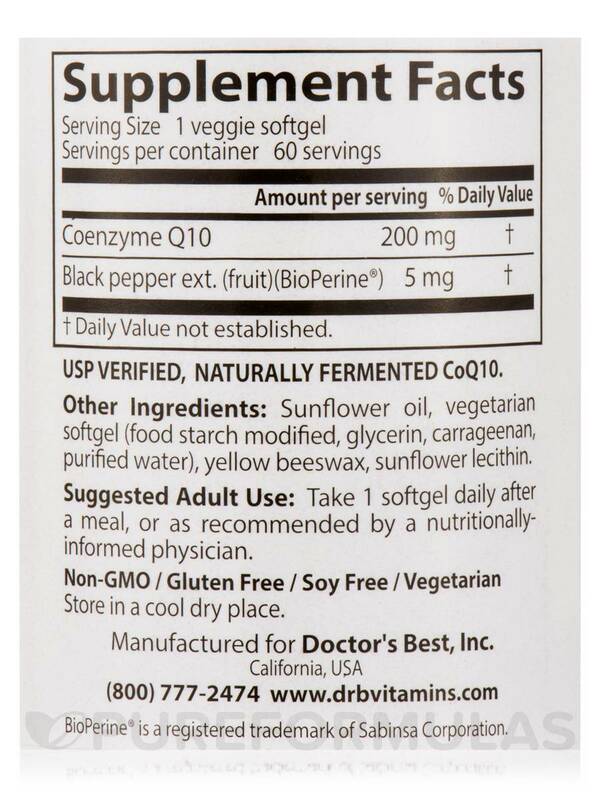 Helps Restore CoQ10 that may be depleted by aging and statin drugs! 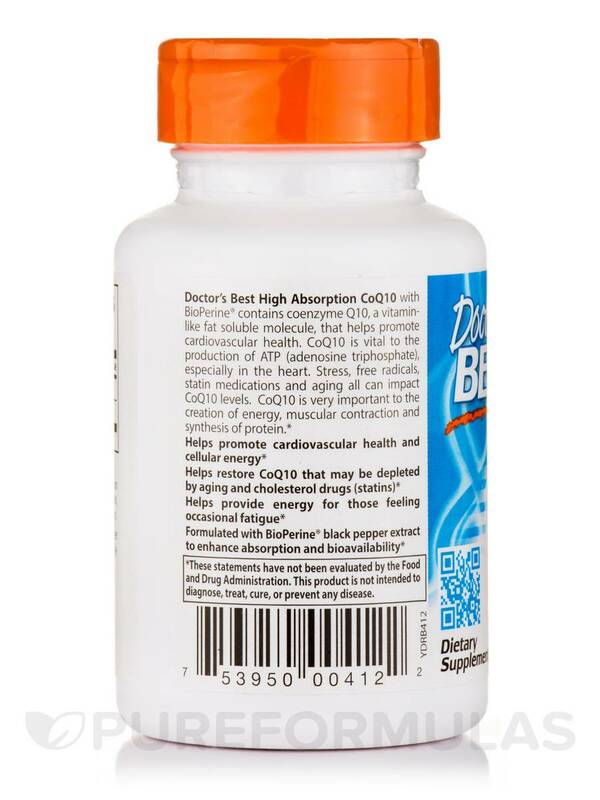 Doctor's Best High Absorption CoQ10 with BioPerine® contains coenzyme Q10‚ a vitamin-like fat soluble molecule‚ that helps promote cardiovascular health. CoQ10 is vital to the production of ATP (Adenosine Triphosphate)‚ especially in the heart. 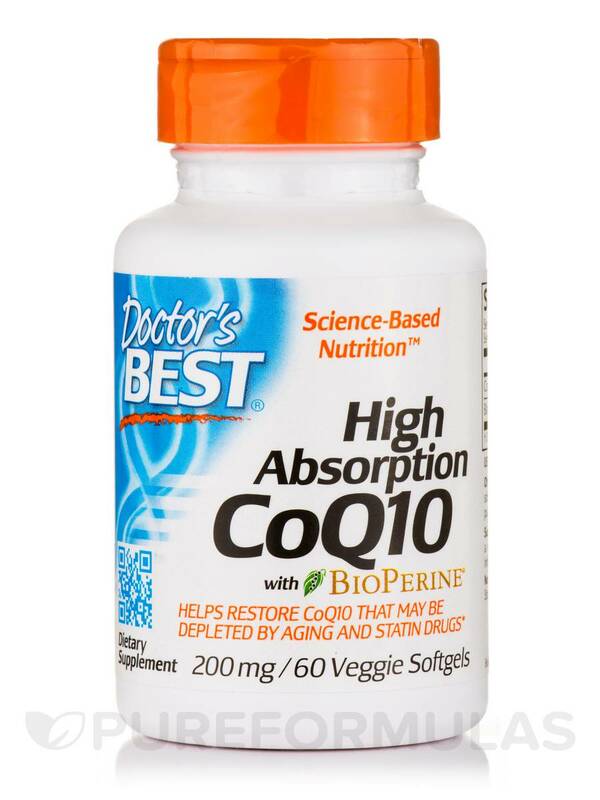 Stress‚ free radicals‚ statin medications and aging all can impact CoQ10 levels. 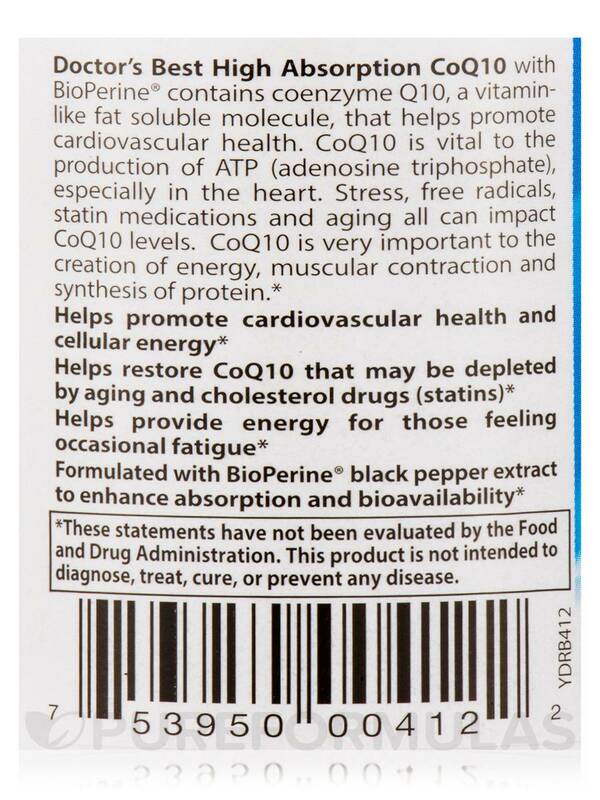 CoQ10 is very important to the creation of energy‚ muscular contraction and synthesis of protein. Other Ingredients: Sunflower oil‚ vegetarian softgel (food starch modified‚ glycerin‚ carrageenan‚ purified water)‚ yellow beeswax‚ sunflower lecithin. 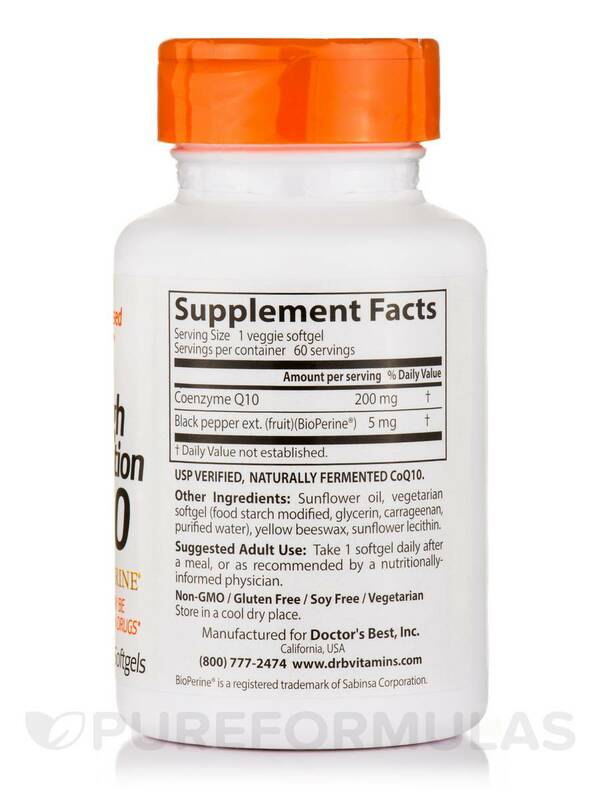 Take 1 softgel daily after a meal‚ or as recommended by a nutritionally informed physician.